Due to the difference between different monitors, the picture may not reflect the actual color of the item.We guarantee the style is the same as shown in the pictures, but not the same performance on different bodies as on the model. We will offer replacement or refund for all DEFECTIVE items (not including damage resulting from accidents / abuse / misuse / improper care), But a photo is needed for our reference beforehand and should be reported to us within 7 days from purchase date. 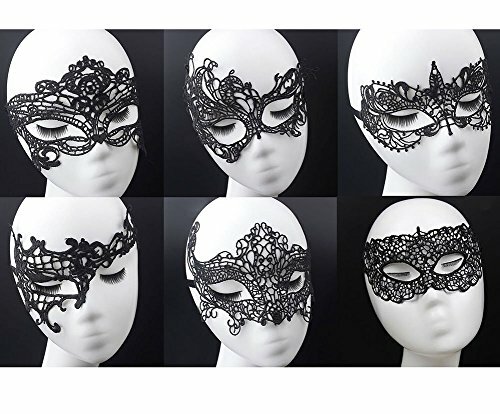 If you do not like the items for any reasons, please let us know within 14 days upon receive, full refund, EXCLUDE DELIVERY CHARGE (free shipping will be deduct the actual shipping fee and handling fee usu. within 5 dollar for item within 500g), Will be given after buyer send back the all the parts with original package, all the RETURN PARCEL is needed to write CLEAR information includes. 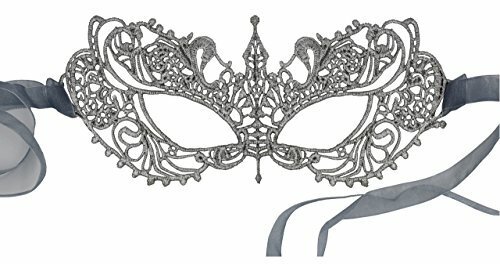 This mask is featured in the hit movie Fifty Shades Darker worn by Ana. 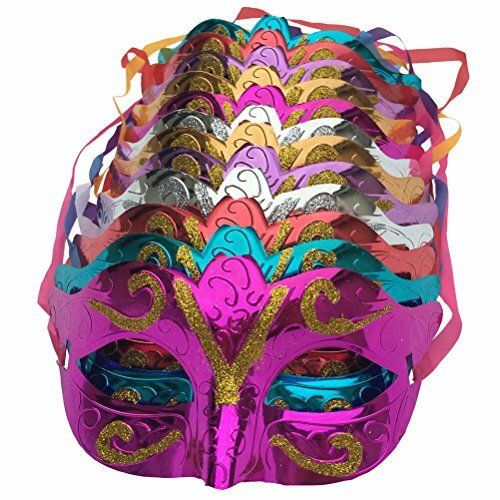 This elegant mask was redesigned based upon the feedback we received from our valued consumers. 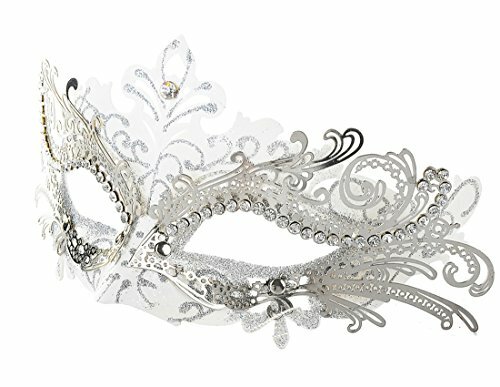 This Silver mask is now secured with silk ribbons replacing the glue that was used in the past. 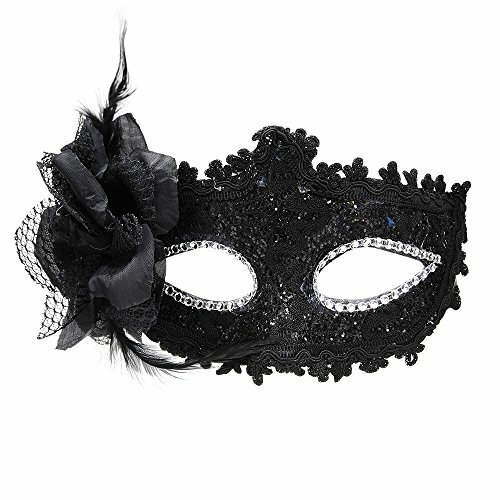 The mask now has larger eye holes along with a stronger base. 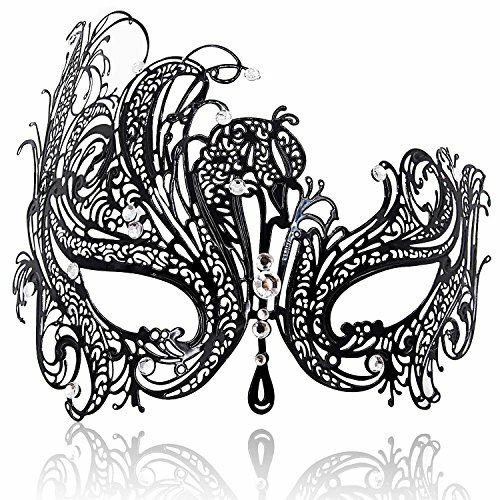 Luxury Mask is the most trusted name in the masquerade industry. 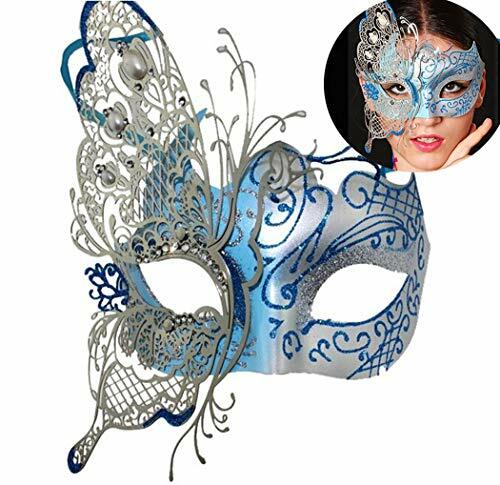 Note: among 2 pcs blue mask occasionally replaced with 2 pcs green mask, other colour mask do not replace, not notified, thank you!